The BONUS Doable Designs doodle guide will help you embellish your journal and the templates will give you easy to use pre-made setups to help you quickly get into the routine of using your brainbook! 1. Brainbook: Bullet Journaling Your Way to a More Organized Life serves as your comprehensive bullet journaling roadmap so you can turn any blank notebook into a powerful planning tool that corrals your calendar, to-do lists, notes, ideas, and long-term goals in one organized place. Includes dozens of photo examples! 2. 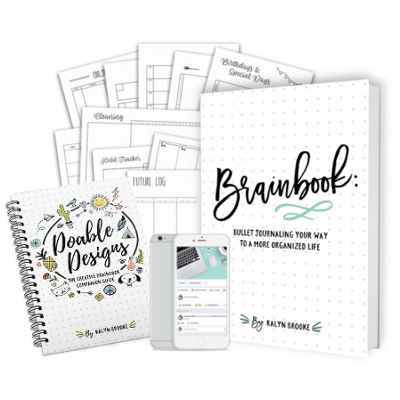 Doable Designs: The Creative Brainbook Companion Guide offers plenty of fun doodles and lettering you can easily recreate (even if you don't feel creative! ), including simple header ideas that add flair to your titles. 3. Printable journaling layouts you can print and stick inside your journal—no drawing required. Just fill-in-the-blanks and you're ready to go! 4. 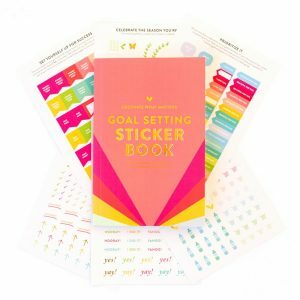 Access to a members-only Facebook group where you can ask questions, chat with other bullet journaling fans, and share your own Brainbook pages!